It was a fun morning of celebrating the accomplishments of the 6th and 7th grade students at our intermediate school. Kids who had High Honors both academically and for citizenship were given different awards. Mason was awarded for academics. Although it was at 6:15 a.m. we were treated to a nice breakfast and great speakers. 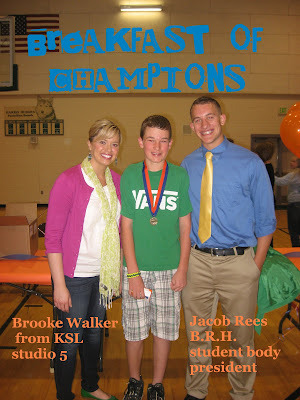 Brooke Walker from KSL News came and of course the student body president from Bear River High. luckily I remembered to put my camera in my purse and caught a pic, to help remind Mason of this good day! You had a busy day! How much fun for the kids and parents! 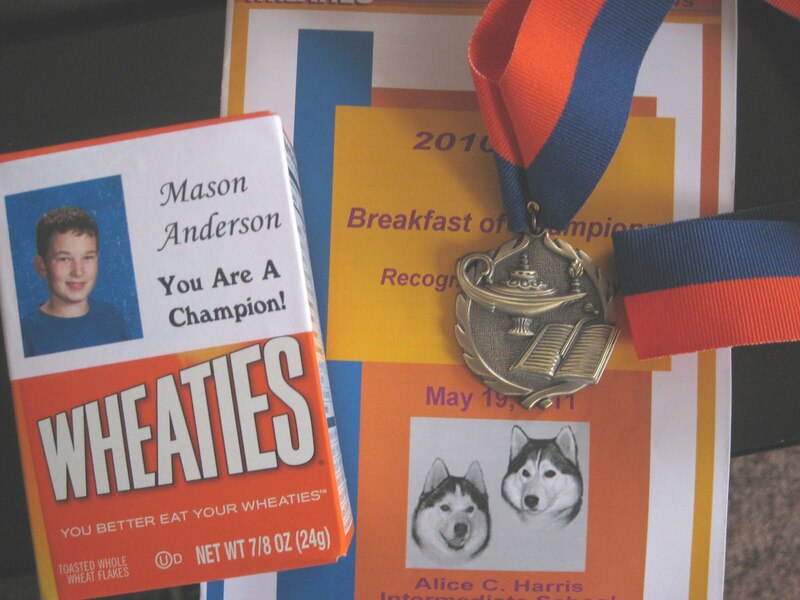 Way to go Mason!